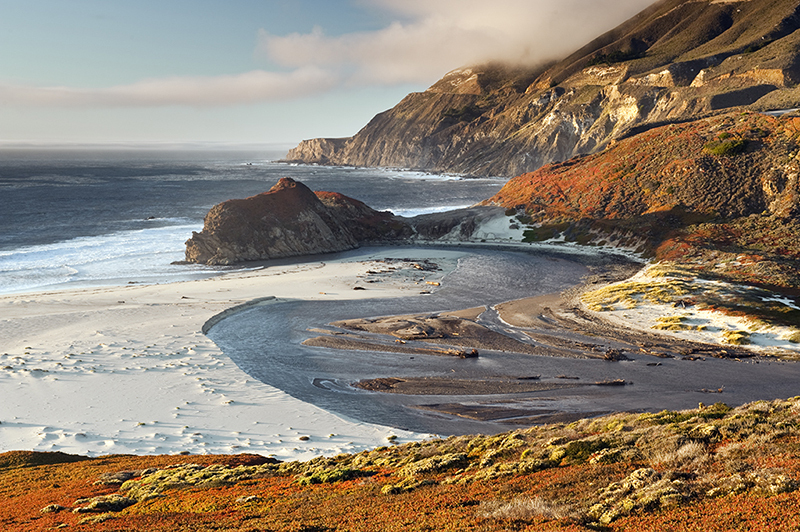 Winter is the most photogenic time of year to visit and photograph along the Big Sur coast; there are often storm clouds followed by colorful sunsets. 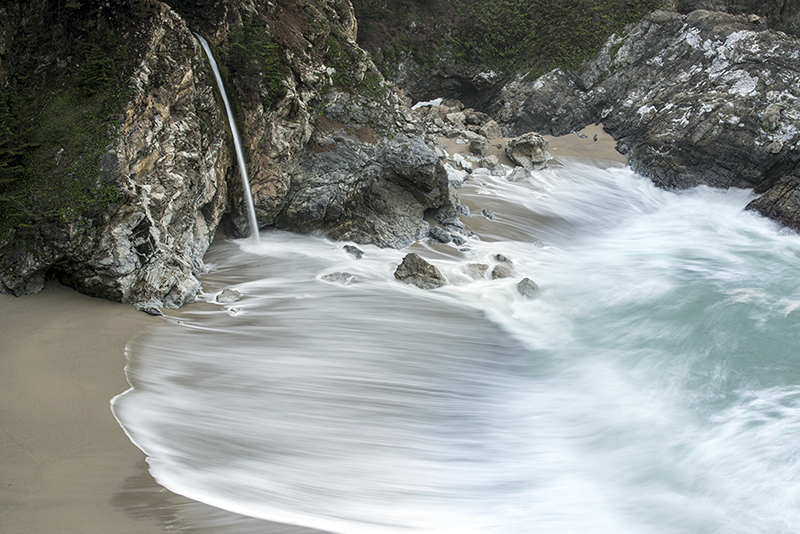 In this intensive one day tour we will visit many of the iconic locations along the Big Sur coast, from Soberanes to McWay Falls, as well as places that are not as well known. Our day will end at Pfeiffer Beach to photograph the setting sun as it highlights the arches in the large rock outcroppings. Winter is the only time of year that the sun lights up these arches as it travels to the south and aligns as it sets on the horizon. 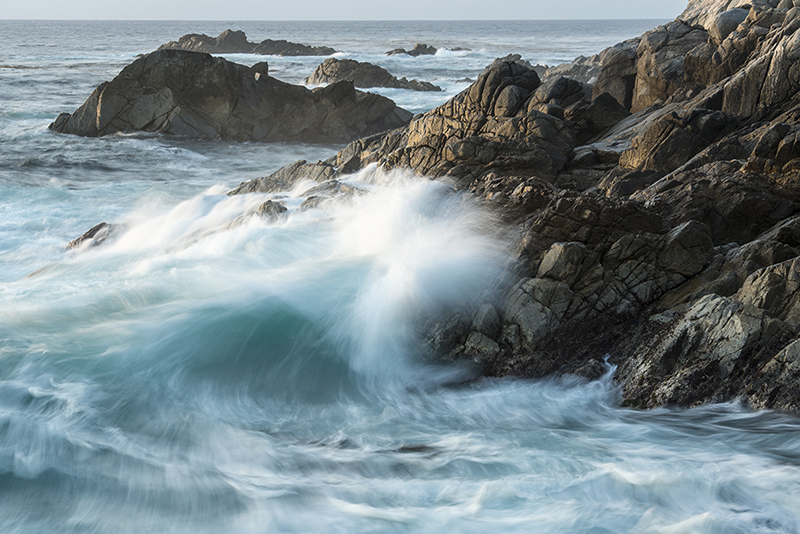 Expert photographic assistance will be provided to all participants and we will review such topics as hyperfocal focusing, using histograms to ensure correct exposure, and incorporating slower time exposures with neutral density filters to soften the movement of the water. While this is not a beginning workshop, please do not be intimidated about participating. It is my philosophy that everyone goes through similar learning stages as their photographic skills progress and it is my goal for you to become excited about your photography and anxious to return and keep shooting. “You can look at a picture for a week and never think of it again. Each participant must have a DSLR camera, a wide angle lens and a stable tripod. Optional equipment may include neutral density filters, a variable density filter and a circular polarizing filter as well as other lenses. If you plan to purchase new equipment, please feel free to contact me and allow me assist you with recommendations. If you want to purchase filters, I highly recommend Singh-Ray and as one of their sponsored photographers I can off a 10% discount off of your purchases. Please enter douglas10 in the coupon blank space on the purchase order to receive the discounted price. We will stop for lunch at the Big Sur River Inn where you can also purchase water and snacks. The lunch cost is not included in the workshop. You may also bring a lunch and eat at the outside picnic tables. We will do some short hiking to reach several locations so please wear comfortable, sturdy hiking shoes and bring layers of clothing. This tour will be limited to 10 participants and costs $250.00. A $75.00 non-refundable deposit is required upon registration.